James Hillman was the father of Archetypal Psychology. This field uses metaphors derived from ancient alchemy to elucidate deep structures in the creative imagination. The psyche moves; but does psychology? James discusses a shift in psychotherapy which could help us connect feeling with our political or worldly dilemma's. The world is entering a new moment of consciousness: by drawing attention to itself by means of its symptoms, it is becoming aware of itself as a psychic reality. 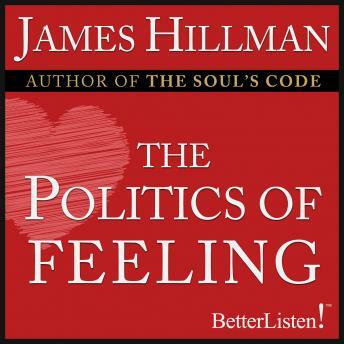 In this scholarly, entertaining and highly informative program, James dives deep into the psychology and politics of feeling.